Bush 43 was on to something important, and he got the votes to prove it. I think I owe an apology to George W. Bush. William F. Buckley once noted that he was 19 when the Cold War began at the Yalta conference. The year the Berlin Wall came down, he became a senior citizen. In other words, he explained, anti-Communism was a defining feature of conservatism his entire adult life. Domestically, meanwhile, the Right was largely a “leave me alone” coalition: religious and traditional conservatives, overtaxed businessmen, Western libertarians, and others fed up with government social engineering and economic folly. The foreign-policy battle against tyrannical statism abroad only buttressed the domestic antagonism toward well-intentioned and occasionally democratic statism at home. The end of the Cold War gave way to what Charles Krauthammer dubbed the “holiday from history” of the 1990s and the “war on terror” in the 2000s. People forget that Bush was elected during the former and had the latter thrust upon him. But at the end of the 1990s, he was one of many voices on the right trying to craft a political rationale to deal with the changing electoral and demographic landscape. He campaigned on a “humble foreign policy” in 2000 and promised something very, very different from a “leave me alone” domestic policy. For years, I’ve criticized “compassionate conservatism” as an insult to traditional conservatism and an affront to all things libertarian. I hated — and still hate — that formulation. Imagine if someone said, “I’m a different kind of Catholic [or Jew, or American, etc. ]: I’m a compassionate Catholic.” The insinuation was — by my lights, at least — that conservatives who disagreed with him and his “strong-government conservatism” were somehow lacking in compassion. As a candidate, Bush distanced himself from the Gingrich “revolutionaries” of the 1994 Congress, and he criticized social conservatives such as Robert Bork, who had written an admittedly uncheery book, Slouching towards Gomorrah. He talked endlessly about what a tough job single mothers have and scolded his fellow conservatives for failing to see that “family values don’t end at the Rio Grande.” As president, he said that “when somebody hurts, government has got to move.” According to compassionate conservatives, reflexive anti-statism on the right is foolish, for there are many important — and conservative — things the state can do right. Compassionate conservatism always struck me as a philosophical surrender to liberal assumptions about the role of the government in our lives. A hallmark of Great Society liberalism is the idea that an individual’s worth as a human being is correlated to his support for massive expansions of the entitlement state. Conservatives are not uncompassionate. (Indeed, the data show that conservatives are more charitable with their own money and more generous with their time than liberals are.) But, barring something like a natural disaster, they believe that government is not the best and certainly not the first resort for acting on one’s compassion. I still believe all of that, probably even more than I did when Bush was in office. But, as a political matter, it has become clear that he was on to something important. Neither critics nor supporters of compassionate conservatism could come to a consensus over the question of whether it was a mushy-gushy marketing slogan (a Republican version of Bill Clinton’s I-feel-your-pain liberalism) or a serious philosophical argument for a kind of Tory altruism, albeit with an evangelical idiom and a Texan accent. Some sophisticated analysts, such as my National Review colleague Ramesh Ponnuru, always acknowledged the philosophical shortcomings and inconsistencies of compassionate conservatism, but they argued that something like it was necessary nonetheless. The evolving demographics of the country, combined with the profound changes to both the culture and the economy, demanded that the GOP change both its sales pitch and its governing philosophy. Compassionate conservatism increasingly faded from view after 9/11. In 2004, Bush ran as a war president first and a compassionate conservative second (at best). Still, it’s worth remembering that Bush won a staggering (for a Republican) 40 percent of the Hispanic vote. Romney got 27 percent. I still don’t like compassionate conservatism or its conception of the role of government. But given the election results, I have to acknowledge that Bush was more prescient than I appreciated at the time. 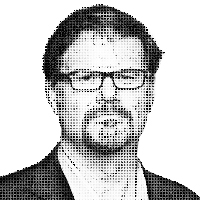 — Jonah Goldberg is editor-at-large of National Review Online and the author of The Tyranny of Clichés. You can write to him by e-mail at JonahsColumn@aol.com, or via Twitter @JonahNRO.